The School on Science Management for Scientist and Engineers is the place where you can fill the gap between your academic path and the demands of the present job market. Learn how to transfer your research results in a commerciable product and become an entrepreneur. Join us in a former Lifelong Learning Program funded by the European Commission, become part of an international network, and discover in an international enviroment that is possible to study hard and have fun!! Fill the gap between the knowledge acquired in your academic path and the demands of the present job market, learning how to transfer your research results in a commerciable product and become an entrepreneur. The school has come to its tenth edition, having started in 2009 as a Lifelong Learning Programme in the Erasmus Programme (2009-2014), now continuing in a self financed mode, as envisaged by the European Commission (EC). SoSMSE deals with the necessity to fill the gap between the scientific and technical knowledge acquired by the students at the University, on the one hand, and the requests they will have to face in their work career either in academic institutions or industry, on the other hand: in other words with the necessity to develop entrepreneurship. This last issue continues to be a pivotal point for the EC, which has recently launched The Entrepreneurship 2020 Action Plan. To this goal the students will attend to lectures in Economy Management, Project Management, Communication and Pitching, Technology Valorisation, Risk Capital and Funding, Patent Law, New Methods for Information and Communication, and Personal Professional Project. All the lecturers are scientists and engineers who have learned the subject they teach hands-on, in years of experience, which gives a uniquely focussed perspective to their lectures. understand what is the intellectual property and how to protect it while collaborating with partners. All the lectures and seminars will be given in English by professors and industry professionals, coming from four different countries. The school grants 5 ECTS and is devised as an Intensive Program which exposes students to a rather demanding schedule, comprising frontal lectures, group work, and seminars. Moreover, a team bonding activity will take place on the middle Sunday. However, these efforts will be requited in various ways, for example in terms of soft skills acquired by the students by the end of the courses. Furthermore, internationality and heterogeneity of the students will entail confronting different approaches to studying and working, broadening the participants’ minds. The final examination consists in the presentation in front of a jury of the personal professional project which the candidates will prepare utilizing what they’ve learned in the courses. Each candidate will receive a diploma mentioning the mark obtained. The Communication course focuses on Pitching Science and Technology for Business, and comprises both lectures and tutorial sessions, as outlined below. Full Professor at the Faculty of Sciences of the University of Porto, Portugal (PhD in Chemistry 1991 from the University of Porto and Habilitation in Chemistry in 2005 at the same University). 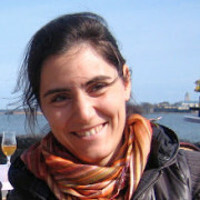 Member of REQUIMTE-LAQV (Associate Laboratory for Green Chemistry), the largest network in Chemistry and Technology in Portugal, scientific coordinator of the research group Catalysis & Functional and Smart Materials, coordinator/team member of several national projects, participates in COST action CM1203 and in several projects with Portuguese industry companies. She also participated in several national and international evaluation panels. She attended COHITEC 2013 training program at Porto Business School, sponsored by COTEC Portugal in collaboration with North Carolina University, USA, with the project CATALVALOR: a catalyst for change. This project was the winner, in the category Industry, in the most important national entrepreneurship competition in Portugal, Acredita Portugal 2015, in which it was distinguished among more than 18,000 candidates. Inserted in this entrepreneurship competition, CATALVALOR project was also one of the three finalists in Brisa Mobilidade award. 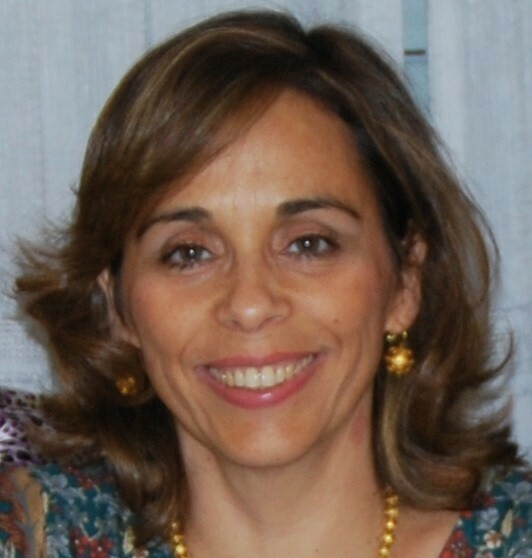 She is the co-founder and CEO of Innovcat Ldt (March 2015, www.innovcat.pt), a technology-based UP spin-off, which aims to carry out research & development, production and commercialization of solid catalysts and innovative functional materials for industrial applications. Doctorat Université de Marseille (F), Marseille, France, Engineering, 1987. Master Université Aix Marseille, CES Genie Chimique, 1984. Master Université Aix Marseille II, Marseille, France, D.E.A. postgraduate degree in Organic Chemistry, 1984. Other E.S.C.M. 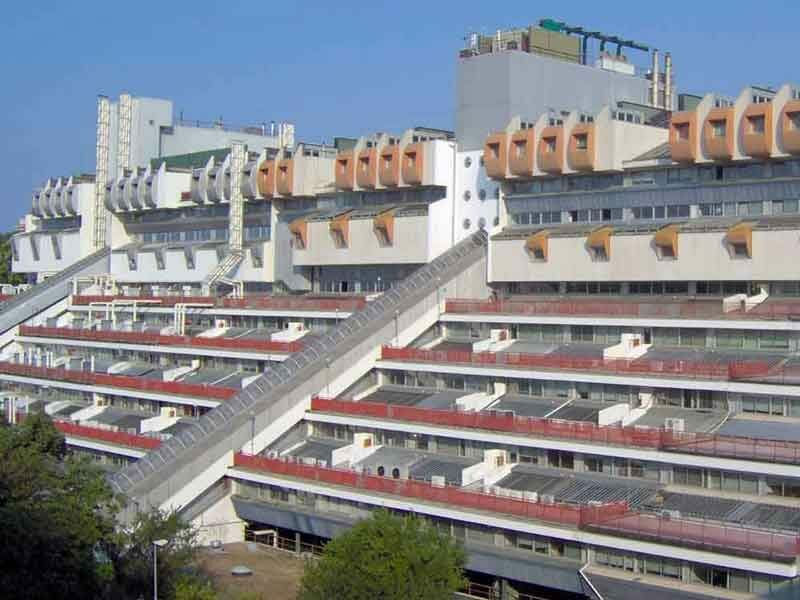 (ENSPICAM, Centrale Marseille), Marseille, France, Chemical Engineering, 1984. Scholar SoSMSE in partnership with Universities of Poznan, Potsdam, Porto and Genova, Univerity Paris Sud (January, 2018 – Present), Paris, France. Professeur, Institut de Développement du Sport par la Formation (2016 – Present), Besançon, France. Busines Plans Courses Wimbledon, Key Biscayne, ATP / WTA Tennis Professional Associations (2016 – Present), Wimbledon, Miami, Florida. Visiting Professor Executive Certificate in Luxury Management, ESA Ecole Supérieure des Affaires Beyrouth (March, 2015 – Present), Beyrouth, Lebanon. Visiting Professor Global Faculty Programm, TECNOLÓGICO DE MONTERREY, Guadalajara, Mexico (February, 2014 – Present), Guadalajara Mexico, Mexico. Lecturer, Global Fashion Management Conference,London College of Fashion, UK (February, 2014 – Present), London, United Kingdom. 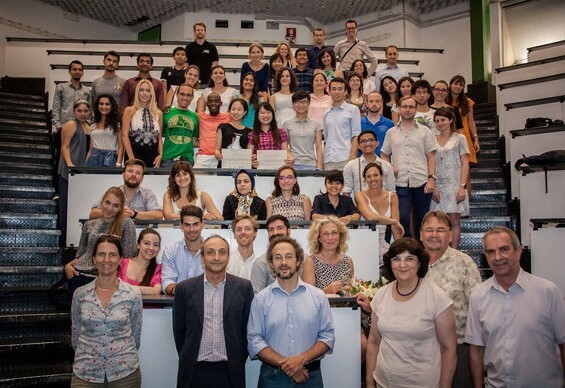 Visiting Professor INTnetwork CORINF on Correlated Multi-­electron Dynamics in Intense Light Fields PhDSchool, Université Paris Sud Orsay (2014 – Present), Cargèze, France. Programme Faculty Director Luxury Retail in LATAM, Florida International University (2014 – Present), MIAMI, United States of America. Visiting Professor, Shanghaï International Studies University MBA (September, 2013 – Present), Shanghaï, China. Visiting Professor School on Science Management for Scientists & Engineers Mundus, Universities of Genoa, Poznan, Porto, Potsdam and Paris Sud Orsay (2010 – Present), Porto, Portugal. Scientific Director of MSc Luxury & Fashion Management, SKEMA Business School (2009 – Present), Sophia Antipolis, France. Visiting Distinguished Professor, Jaypee Institute of Information Technology and Business School Noida India (2009 – Present), Noida, India. Professor of Marketing, SKEMA Business School (1998 – Present), Sophia Antipolis, France. Visiting Lecturer, Université de la Méditerranée (1990 – Present), Aix-Marseille, France. Invited, Digital Luxury, Wharton School, University of Pennsylvania (May, 2015 – May, 2015), New York, Pennsylvania. Associate Dean for Marketing, SKEMA Business School (2010 – 2012), Sophia Antipolis, France. Visiting Distinguished Professor, Indian Institute of Foreign Trade Delhi Kolkata (2007 – 2009), New Delhi/ Kolkata, India. Lecturer, IDRAC (2004 – 2006), N.C, France. 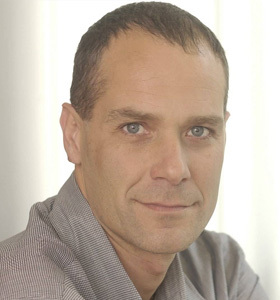 Lecturer, IUT Cannes (2004 – 2006), Cannes, France. Lecturer, EDHEC & Espeme NICE (1992 – 2006), Nice, France. Administrator of Laboratory Pilots, SBI (Group VIAG / SKW and Sanofi-Aventis) (1994 – 1995), N.C, Unknown. Research Engineer, SANOFI INDUSTRIES (1987 – 1994), Grasse, France. 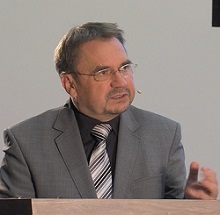 Research Engineer, Hoffman Laroche Switzerland : Center of Pharmaceutical Researches (1983 – 1985), N.C, Switzerland. COSTE-MANIERE, I. (2018). Changer de culture. Chrono Journal Comité Olympique. COSTE-MANIERE, I., Mastré, M., & Croizet, K. (2018). Use of Phenolic Compounds as Stabilizing Agents for Silicon-Based MoleculesChe. Chemical Sciences Journal., doi: 10.4172/2150-3494.1000178. COSTE-MANIERE, I., Ramchandani, M., & Van Holt, J. (in press, 2017). What Drives Sustainable Luxury Consumption in a Status driven society like India ? Journal of Textile Engineering & Fashion Technology, 65 (2), 1-4. COSTE-MANIERE, I. (2017). Giorgio Armani’s Empire – Giorgio Armani the ‘Master’ of Luxury. Journal of Textile Engineering & Fashion Technology, 2 (4), 0067. Coste-Manière, I., Garçon, N., Pradère, C., & Ramchandani, M. (in press, 2015). Paris as a gleaming catalyst for luxury brands. Journal of Global fashion Marketing. Hoffmann, J., & Coste-Manière, I. (2014). Luxury Industry: The New Normal. The European Financial Review. Halvorsen, K., Hoffmann, J., Coste-Maniète, I., & Stankeviciute, R. (2013). Can fashion blogs function as a marketing tool to influence consumer behavior? Evidence from Norway. Journal of Global fashion Marketing, 4 (3), 211-224. Rollet, M., Hoffmann, J., Coste-Manière, I., & Panchout, K. (2013). The concept of creative collaboration applied to the fashion industry. Journal of Global fashion Marketing, 4 (1), 57-66. Hoffmann, J., & Coste-Manière, I. (2013). Which Global Luxury Trends for the Coming Years? The World Financial Review, 57-59. Van Gorp, T., Hoffmann, J., & Coste-Manière, I. (2012). Brand Building: Luxury Leather Goods Brands Anatomized. Journal of Global fashion Marketing, 3 (3), 127-134. Ramchandani, M., & Coste-Manière, I. (2012). Asymetry in Multi-Cultural Luxury Communication: A Comparative Analysis on Luxury Brand Communication in India and China. Journal of Global fashion Marketing, 3 (2), 89-97. Coste, I., Prayag, G., & Singh, J. (2011). Emergence of Indian Luxury Brands: Pride for India. Business Management Chronicles, 14-17. Bouchet, M., Laguerre, C., & Coste-Manière, I. (2011). Evolution of the Global Financial System : Moralize and Separate ‘Real Economy’ from ‘Virtual Sphere’ is the Key. Diplomatist Magazine, 34. Coste, I. (2011). France Luxury Brands in India. Diplomatist Magazine, 24-25. Coste, I. (2011). France, an emerging Mono Destination for Indian tourists. Diplomatist Magazine, 18-19. Coste-Manière, I. (2011). France, an emerging Mono Destination for indian tourists. Diplomatist Magazine, 18-19. Bouchet, M., Laguerre, C., & Coste-Manière, I. (2011). PIGIS: The Backlash of Euros’ Ecstasy. Diplomatist Magazine, 15-16. Coste, I. (2010). Vibrant luxury in India. Business Management Chronicles, 14 (12), 34-35. Hoffman, J., Coste-Manière, I., & Maki, I. (2010). Le marché chinois en pleine explosion. Expression Cosmétique (2), 18-19. Eymé, D., Hoffmann, J., & Coste-Manière, I. (2010). Comment augmenter le ROI de votre budget communication par l’affiliation et le Search Marketing. Expansion Management Review (138), 32-36. Coste-Manière, I. (2010). The sky is the limit for luxury goods in India. The Financial Express, 2. Sola, C., & Coste-Manière, I. (2008). Luxe et sensorialité : Les sens du Luxe. Luxe et Finance. Coste-Manière, I. (2006). Le luxe, pourquoi, pour qui ? Le Rotarien, 27-30. Coste-Manière, I. (1999). D’un parfumeur. Chronique d’Art Sacré (57), 24. COSTE-MANIERE, I., Saponaro, M., Le Gal, D., & Guisiano, M. (2019). The use of Artificial Intelligence for the improvement of customer online and offline. ICONIC 2018 IEEE MAURICON International Conference on Intelligent and Innovative Computing Applications. COSTE-MANIERE, I., HAMELIN, C., MALENGE, E., FARBOS, L., & Rondelli, S. (in press, 2018). WeChatâ : The Present and the Future. ICONIC 2018 IEEE MAURICON International Conference on Intelligent and Innovative Computing Applications. 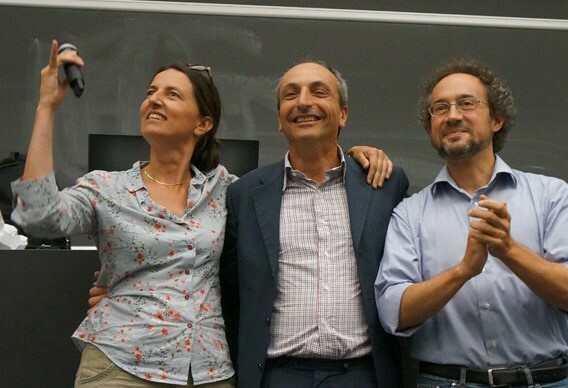 COSTE-MANIERE, I., Saponaro, M., Le Gal, D., & Guisiano, M. (in press, 2018). The use of Artificial Intelligence for the improvement of customer online and offline. ICONIC 2018 IEEE MAURICON International Conference on Intelligent and Innovative Computing Applications. COSTE-MANIERE, I., CASTILLAN, L., CHHEANG, C., DENOUX, C., FERRENBACH, C., Caroline Gérard, Evelyne Hua and Julia Van Holt (2018). Online luxury: The code breakers of a traditional sector. ITQM 2017. COSTE-MANIERE, I., Guerquin-Kern, L., Aybaly, R., & Madacova, D. (2018). “Sustainability in the automotive world : From Tesla to heaven !”. ITQM 2017. COSTE-MANIERE, I., AMIROUCHE, M., BOYAVAL, F., ARNAULT, F., & SALOME, C. (2018). “Luxury Toys for Men: when women will let us decide and buy on our own?”. ITQM 2017. COSTE-MANIERE, I., Thubert, S., FRANCOULON, L., WEBER, L., & BOYAVAL, F. (in press, 2017). Duty Free shops : Are luxury being democratized ? ITQM 2017. Azoulay, C., Cavanaugh, L., Coste-Manière, I., Darren, D., Erkova, D., Ordabayeva N. (2015). Luxury in the Digital World: How Digital Technology Can Complement, Enhance, and Differentiate the Luxury Experience. Warthon School of the University of Pensylvania, Baker Retail: Innovation and Luxury dilemna. Hoffmann, J., & Coste-Manière, I. (2012). Global Luxury Trends: Innovative Strategies for Emerging Markets Palgrave Macmillan. Hoffmann, J., & Coste-Manière, I. (2011). Luxury Strategy in Action Palgrave Macmillan. BINET, F., COSTE-MANIERE, I., DECOMBES, C., GRASSELLI, Y., OUEDERNI, D., Mukta Ramchandani (2019). Fast fashion and sustainable consumption. In Subramanian Senthilkannan Muthu (Ed. ), Fast Fashion brands and sustainable consumption, Collection Textile Science and Clothing Technology, (pp. 19-36). Singapore: Springer International Publishing. COSTE-MANIERE, I., GODAT, E., BRENOT, A., CHUFFART, C., RAMCHANDANI, M., ManonDeroche, EvaGodat, LauraLemoine, EleonoraSette, CarolineTornaire (2019). Water footprint in fashion and luxury industry. Water in Textiles and Fashion Consumption, Footprint, and Life Cycle Assessment (pp. 95-113). Elsevier. COSTE-MANIERE, I., CHARPENTIER, P., BOYER, G., CROIZET, K., VAN HOLT, J., Sudeep CHHABRA, Armani India (2018). Innovation and sustainability in the luxury, fashion, fabrics industry. In Springer (Ed. ), Models for sustainable framework in luxury fashion (pp. 11-35). Springer. COSTE-MANIERE, I., & RAMCHANDANI, M. (2018). Eco-conspicuous vs eco-conscious consumption; Co-creations, a new definition of luxusy and fashion. In Springer (Ed. ), Models for sustainable framework in luxury fashion; Luxury and Models (pp. 1-11). Springer. COSTE-MANIERE, I. (2018). Marketing d’influence et Jeux Olympiques. “Marketing d’influence et Relations Publics, amis ou ennemis ?”. -. COSTE-MANIERE, I., Reault, M., Ramchandani, M., Van Holt, J., & Guezguez, H. (2017). Detoxifying Luxury and fashion industry; case of market driving brands. Detox Fashion ; Case studies (pp. 18). Springer International Publishing. Ramchandani, M., & Coste-Manière, I. (2016). To Fur or not to Fur: Sustainable Production and Consumption Within Animal-Based Luxury and Fashion Products. In Muthu, Subramanian Senthilkannan (Ed.) (Ed. ), Textiles and Clothing Sustainability: Sustainable Fashion and Consumption (pp. 41-60). Springer. Coste-Manière, I., Amos, C., & Grasselli, Y. (2016). The Virtuous Circle: Hard Sustainable Science Versus Soft Unsustainable Science Within Marketing Functions of Fashion and Luxury Sectors and How to Prevent ‘Soylent Green’ from Happening. Textile Science and Clothing Technology Implications in Textiles and Fashion (pp. 75-87). Springer. Coste-Manière, I., Ramchandani, M., Sudeep, C., & Burak, C. (2015). Long-Term Sustainable Sustainability in Luxury. Where Else?. Handbook of Sustainable Luxury Textiles and Fashion, volume 2 (pp. 17-34). Miguel Angel Guardetti, Subramanian Senthilkannan Muthu Editors: Springer Science+Business Media Singapore 2016. Hoffmann, J., & Coste-Manière, I. (2013). Introduction. In Hoffmann, J., Coste-Manière, I. (Ed. ), Global Luxury Trends: Innovative Strategies for Emerging Markets. Palgrave Macmillan. Coste-Manière, I. (2013). Dassault’s Falcon F7X. In Press, –. Coste, I., & Panchout, K. (2011). The Evolution of the Luxury Market: Stairway to Heaven?. In Hoffmann, J., Coste-Manière, I. (Ed. ), Luxury Strategy in Action. Palgrave Macmillan. Coste-Manière, I., & Shanker, R. (2010). Luxury services. Services Marketing. -. COSTE-MANIERE, I., MALENGE, E., HAMELIN, C., FARBOS, L., & RONDELLI, S. (2019). WeChat : The Present and the Future. ICONIC 2018 IEEE MAURICON International Conference on Intelligent and Innovative Computing Applications, Plaine Magnien, Mauritius. COSTE-MANIERE, I. (2019). Millennials as catalysts of the branding revolution in luxury. Global Management Conference Tokyo 2018, Tokyo, Japan. COSTE-MANIERE, I., Saponaro, M., Le Gal, D., & Guisiano, M. (2019, December). The use of Artificial Intelligence for the improvement of customer online and offline. ICONIC 2018 IEEE MAURICON International Conference on Intelligent and Innovative Computing Applications, Plaine Magnien, Mauritius. COSTE-MANIERE, I. (2019, April). Artificial Intelligence in updated Luxury Brand Management for Millenials. BESST-2019 International Conference on Impact of R & D on Business Economics, Management, Social Sciences, Banking & Finance, Bali, Indonesia. COSTE-MANIERE, I., VINTEL, J., & GUIYAMA-MASSOGO, C. (2018). The Francophonie dilemna : from Baron Pierre de Coubertin to Paris 2024. 14th Joint International Session for Presidents & Directors of National Olympic Academies and Officials of National Olympic Comitees, International Olympic Academy, Olympie, Greece, Olympie, Greece. COSTE-MANIERE, I. (2018). Trends in Luxury Brand Management for Millenials. Invited presentation at SISU Shanghaï International Studies University, Shanghaï, China-PRC. COSTE-MANIERE, I. (2018, October). Green safaris in green Tanzania. Invited presentation at International Conference on Tourism & Marketing, Arusha, Tanzania. COSTE-MANIERE, I. (2018, October). Tanzanites and semi precious gemstones trends. High Jewellery. Invited presentation at Arusha Consulat and International African, Arusha, Tanzania. COSTE-MANIERE, I. (2018, September). Le sport, instrument de développement urbain durable :du local à l’international. Sport et développement des collectivités, marketing urbain Marseille Capitale Européenne 2017, BMVR l’Alcazar, Marseille, France. COSTE-MANIERE, I., Guerquin-Kern, L., Aybaly, R., & Madacova, D. (2017). Sustainability in the automotive world : From Tesla to heaven. ITQM 2017, Noida, India. COSTE-MANIERE, I. (2017). New Luxuries in China. Club L’Avenue Shanghaï, Shanghaï, China. COSTE-MANIERE, I. (2017). Francophonie, olympisme: vecteurs de croissance économique. Jeux de la Francophonie Abidjan, Hotel Azalai, Abidjan, Côte d’Ivoire. COSTE-MANIERE, I. (2017). Bespoke and affinity driven upcoming luxuries. ITQM, Noida, India. COSTE-MANIERE, I., AMIROUCHE, M., BOYAVAL, F., ARNAULT, F., & SALOME, C. (2017). Luxury Toys for Men : when women will let us to decide and buy on our own ? ITQM 2017, Noida, India. COSTE-MANIERE, I., CASTILLAN, L., CHHEANG, C., DENOUX, C., FERRENBACH, C., Caroline Gérard, Evelyne Hua and Julia Van Holt (2017). Online luxury: The code breakers of a traditional sector. ITQM 2017, Noida, India. COSTE-MANIERE, I., THUBERT, S., FRANCOULON, L., WEBER, L., & BOYAVAL, F. (2017). Duty Free Shops : Are luxury brands being democratized. ITQM 2017, Noida, India. COSTE-MANIERE, I., Van Holt, J., & Chhabra, S. (2017). Sustainable nanotechnology : Can technology and innovation be used in order to develop sustainable design ? Global Fashion Management Conference, Vienna, Austria. COSTE-MANIERE, I. (2017). Francophonie, Olympisme et marketing sportif. Semaine Olympique Universitaire, Nice, France. COSTE-MANIERE, I. (2017). « Les JO de 2024 en France : quelles opportunités pour les entreprises françaises ? MEDEF CCI CGPME CNOSF AFAO, Nice, France. COSTE-MANIERE, I. (2017, November). Brands dilemna: from handscraftsmanship to iglobalization, the specific example of Firstflag. China Academy of Art, Musée d’Allure, Suzhou, Suzhou, China-PRC. COSTE-MANIERE, I. & LEHIANY, B. (2017, September). Du bénévolat aux Jeux Olympiques : la Francophonie et Coubertin. Influence Day 2017, Paris, France. COSTE-MANIERE, I. (2017, March). Professional tennis world : A luxurious think tank. Invited presentation at ATP & WTA Professionals Course, Miami, Florida. COSTE-MANIERE, I. (2016). Luxury Brand Strategy: hunting, and looking for upcoming niches. SHU MBA, Shanghaï University, Shanghaï, China-PRC. Azoulay, C., Cavanaugh, L., Coste-Manière, I., Darren, D., Erkova, D., Ordabayeva N. (2016, May). Luxury in the Digital World: How Digital Technology Can Complement, Enhance, and Differentiate the Luxury Experience. Warthon School of the University of Pensylvania, Baker Retail: Innovation and Luxury dilemna, New York, Pennsylvania. COSTE-MANIERE, I. (2016, May). Déceler, transformer et construire le capital humain. Invited presentation at Ministère du Commerce, Panel des Chambres de Commerce, MDE Business School / IESE University Navarra, Fondation BENIANH, Abidjan, Côte d’Ivoire. COSTE-MANIERE, I. (2016, May). Nouvelles perspectives des ethno luxes éthiques et de niches. ENSEA, École Nationale supérieure de Statistique et d’Économie Appliquée Abidjan, Abidjan, Côte d’Ivoire. Augier, M. & Coste-Manière, I. (2015, December). How to sell your brand in the digital era-From WOM to Snapchat and Instagram. International Conference on advances in management and techonology in a global world ICAMT-15, Noida, India. Bhasker, S., Casanova, M., Crouzet, E., Djoudi, L., Coste-Manière, I., M. Gleize and Y. Zhang (2015, December). Role of Pop-up Concept in Modern Merchandising. International Conference on advances in management and techonology in a global world ICAMT-15, Noida, India. Coste-Manière, I. & Ramchandani, M. (2015, December). What drives sustainable luxury consumption in a status driven society like India? International Conference on advances in management and techonology in a global world ICAMT-15, Noida, India. Coste-Manière, I., Azan, W., Cabaud, M., Charrier, M., Falk, A., M. Izdinke, C. Meret, M. Milleliri and J. Ternon (2015, December). Luxury Accessories-Seduction: From Toes and Nails to Eyes: Step into a New landscape within the Luxury Industry. International Conference on advances in management and techonology in a global world ICAMT-15, Noida, India. Guerquin, K., Madacova, D., Sudeep, C., & Coste-Manière, I. (2015, December). Giorgio Armani: The Marine of Luxury. International Conference on advances in management and techonology in a global world ICAMT-15, Noida, India. Pellier, M., Spier, P., & Coste-Manière, I. (2015, December). Wine Industries in France, India, China: A comparative Analysis. International Conference on advances in management and techonology in a global world ICAMT-15, Noida, India. Coste-Manière, I. (2015, October). Stratégies gagnantes : De nouvelles stratégies pour de nouvelles audiences : le lancement de la Chaîne Olympique et le défi des Fédérations Internationales. Invited presentation at Sportel Monaco 2015, Forum Grimaldi, Forum Grimaldi, Monaco. Coste-Manière, I. (2015, September). Globalization – Innovation – Leadership. 3rd International Conference on International Marketing in Asia Pacific Issues and Challenges, Coimbatore, India. COSTE-MANIERE, I. (2015, July). Strategies for Independent Fashion and Luxury Companies. Global Fashion Management Conference, Florence, Italy. COSTE-MANIERE, I. (2015, June). Bespoke evolution and contemporay luxury issues. SDPA Jiangsu Entrepreneurs Development Promotion Association, Suzhou, China-PRC. Lucky, Y. & Coste-Manière, I. (2015, June). Licensing best-practices of independent luxury brands. Global Fashion Management Conference, Florence, Italy. Coste-Manière, I. (2015, May). Le Luxe surfe sur les crises. Ecole Nationale des Statistiques et d’Economie Appliquée, Abidjan, Côte d’Ivoire. Coste-Manière, I. (2015, May). Maximizing the effects of Celebrity endorsement on luxury brands. New Waves of Luxury, South Korea, Seoul, Republic of Korea. Coste-Manière, I. (2015, May). De l’art au luxe. Ecole Nationale des Beaux Arts, Abidjan, Côte d’Ivoire. Coste-Manière, I. (2015, April). Trends in digital luxury. Baker Retail: Innovation and Luxury dilemna, Warthon School of the University of Pensylvania, New York City NY, United States of America. Coste-Manière, I. (2015, March). Consumer behavior: the specific case of the Middle East. Beyrouth, Ecole Supérieure des Affaires, Beyrouth, Lebanon. Coste-Manière, I. (2015, February). Luxe et balance commerciale. Conseil Economique Social et Environnemental de la République Française, Paris, France. Coste-Manière, I. (2014). Dassault Systèmes and Fashion Lab : Deepdive into a sensorial luxury universe. Conférence professionnelle, Paris, France. Coste-Manière, I. (2014, October). Miami: Gateway to New Luxuries. Luxury Media Creative industries & Arts, French American Chamber of Commerce, Miami, Florida. Coste-Manière, I. (2014, October). “Jiangsu customized bespoke”. SPDA Suzhou, Suzhou, China. Coste-Manière, I. (2014, September). Luxury Industry: The New intercontinental Normal. From here to eternity… CCI FRANCE CHINE, Shanghai, China. Coste-Manière, I. (2014, July). Mapping Paris as a Fashion and Haute Couture Capital. Global Marketing Conference, Singapore, Singapore. Coste-Manière, I. (2014, February). India: Opportunities and Challenges for the Luxury and Fashion Industry Global Fashion Conference. Global Fashion Management Conference, London, United Kingdom. Coste-Manière, I. (2013, February). Brilliant SME in the Luxury & Fashion world. American Chamber of Commerce, Suzhou, Shanghaï,, Suzhou – Shanghaï, China. Coste-Manière, I. (2012). Luxury Full Moon. SUDA Suzhou, CCIFC Shanghaï, Suzhou – Shanghaï, China. Coste-Manière, I., Hoffmann, J., & Pradère, C. (2012). How can a luxury brand be positioned in emerging markets: China, India and Brazil? Luxe Pack Monaco, Monaco, Monaco. Coste-Manière, I. (2012, October). Creativity and innovation in luxury industries. Journées Economies et Management de la Créativité (OFCE, HEC Montréal…), -, France. Coste-Manière, I. (2012, May). Marketing rural, de masse ou de luxe. Résonances et dissonances. Université Catholique d’Afrique Centrale, Yaoundé, Cameroon. Coste-Manière, I. (2012, February). At the crossroads. New metaluxuries coming up. 1st SKEMA Luxury Summit, Sophia Antipolis, France. Coste-Manière, I. (2011). From traditional marketing to multi-luxurious parameters strategy. Leather Fair New Delhi, New Delhi, India. Coste-Manière, I. (2011, December). L’émergence des néo-radins. Passion Commerce, CCI Nice, Nice, France. Coste-Manière, I. (2011, November). Bridge to luxury. Suzhou, China, Suzhou, China. Coste-Manière, I. (2009). Luxury? What else? Indian Institute of Foreign Trade, New Delhi, India. Coste-Manière, I. (2009, August). Luxury in India : From here to eternity. Shaheed Sukhdev College of Business Studies, New Delhi, India. 2015: Coste-Manière, I., Ivan Coste-Manière élu nouveau président : AG du Comité Régional olympique à Mandelieu omnisports, NICE MATIN, 30 mars. 2019: International Conference on New Age Business Practices: Leveraging Digitization for Marketing Excellence-NABP 2019., New Delhi, India (International). 2015: New Waves of Luxury, South Korea, ASCO, Seoul, Seoul, Republic of Korea (International). 2015: International Conference on Advances in Management and Technology in a global world (ICAMT-15) December 18-20, 2015, Noida, India (International). 2018 – 2019: Global Fashion Management Conference, Paris, France (International). 2018: Global Management Conference, Tokyo, Japan (International). 2017: 2017 Global Fashion Management Conference University of Vienna (International). 2015: Global Fashion Conference, Firenze University, Firenze, Italy (International). 2014: Global Fashion Conference London College of Fashion, Feb 2014, London, United Kingdom (International). 2014: 2014 Global Marketing Conference, Singapore, Singapore (International). 2019: ‘Marketing Mix for Low-Cost Healthcare Innovations: The Ten Ps Framework’ Ms. Julie GeorgeBharathiar University, Coimbatore, India, Coimbatore, India (International). 2019: LM Thapar School of Management (LM TSM), Thapar Institute of Engineering and Technology (Deemed University), Punjab, India, Thapar, India (International). 2018: ” Consumer Satisfaction and Repurchase Intensions Towards Select Luxury Brands in India” Ms. Anuradha Modak AMU, Aligarh.Muslim University, India, Aligarh, India (International). Ph.D thesis of Ms. Anuradha Modak on the topic ” Consumer Satisfaction and Repurchase Intensions Towards Select Luxury Brands in India” supervised by Dr. Mohd Naved Khan Department of Business Administration, AMU, Aligarh. 2015: STRENGTH AND WEAKNESS OF CURRENT VALUE ADDED TAX SYSTEM – A STUDY OF JHARKHAND REGION” submitted by Mr Arun Kumar Singh. Indian School of Mines, Dhanbad, INDIA (International). 2015: The Effect of Selected Marketing Activities on Brand equity Dimensions: A Study of Fashion Apparel Brands in India ” , submitted by Ms. Saima Khan. Faculty of Management Studies and Research – Aligarh Muslim University, INDIA, Aligarh, India (International). 2015: A Sustainable Supply Chain Management Framework for IT Products – An Exploratory Study, Mr. Vishal Gupta, Jaypee Institute of Information Technology, Noida, India (International). 2015: Evaluating Training Effectiveness- An Analysis of Employability Skills and Associated Training Needs in the Information Technology, Ms. Neetima Agarwal, Jaypee Institute of Information Technology, Noida, India (International). 2015: PROFITABILITY AND SUSTAINABILITY FROM WASTE MANAGEMENT PRACTICES IN HOTELS AND ITS IMPACT ON ENVIRONMENT, Amar Nath, Jaypee Institute of Information Technology, Noida, India (International). 2015: Competencies for Effective Management Teaching – Perception of Teachers and Administrators of Indian B-Schools, Ms Kanupriya , Jaypee Institute of Information Technonolgy, Noida, India (International). 2015: CRM in organized retail with special reference to grocery and lifestyle segments in India, M. Mujibur Rahman, Indian School of Mines Dhanbad India (International). 2014: Jaypee Institute of Information Technology Noida India & Indian School of Mines (International). “A Sustainable Supply Chain Management Framework for IT Products – An Exploratory Study” submitted by Mr. Vishal Gupta. “Competencies for Effective Management Teaching – Perception of Teachers and Administrators of Indian B-Schools ” submitted by Ms Kanupriya. 2013: Indian School of Mines (International). “Evaluation of Corporate Social Performance of Indian Public Sector: A non parametric approach”. 2012: ” Customer Relationship Management and Customer Experience Management Using Business Online Communities ” .Ms. Shirin Alavi, JIIT Noida, India (International). 2011: “CUSTOMER CENTRIC BRANDING BY LEVERAGING CORPORATE BRAND IDENTITY AND CONSUMER BRAND KNOWLEDGE”. submitted by Ms Nidhi Sinha , Jaypee International Institute of Technology, Noida, India (International). 2010: DYNAMICS OF ORGANIZATIONAL CLIMATE ON RISK AND SUCCESS OF SOFTWARE PROJECT, ARPITA SHARMA, Department of Management Studies, Indian School of Mines Dhanbad (International). The aim of the course is to provide the participants with the necessary tools on the new technologies of information and communication to help them in their everyday tasks as researchers. Basic introduction to computer hardware and software: Here the goal is to be able to identify a simple problem and explain it, in adequate terms, to the IT technician in order to solve your problem in a short period of time. Also we will answer the fundamental question: what software should I use for a specific task? Templates (word and PowerPoint): We will learn how to create, modify and use a template in order to draft a paper, prepare a poster and make a PowerPoint presentation. Tips will be given for making an enticing PowerPoint presentation. References manager: drafting a paper with many references could be tricky. Here we will define our needs in terms of references manager. Social networks and e-reputation: We will see the difference between the professional network and facebook and twitter. An overview of project management tools will be provided (Gantt diagrams, Web calendar, file sharing and web search). 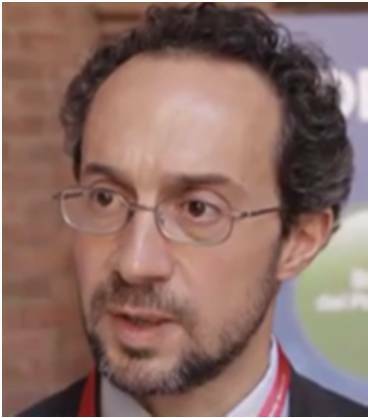 Nicolas Rabasso is an Associate Professor of Organic Chemistry at the Institut de Chimie Moléculaire et des Matériaux d’Orsay (ICMMO) in the University Paris-Sud (France). His work is divided between teaching organic chemistry, to bachelor and master students, and research in the field of development of new methodologies for the synthesis of aminophosphonates. Prior to join the ICMMO, he was a post-doctoral fellow at Boston University (USA) and worked with Professor John A. Porco Jr. on the synthesis of natural products. Nicolas Rabasso holds a PhD in Organic Chemistry obtained from the University Pierre et Marie Curie (France). The protection and valorisation of technological and commercial assets of a company is essential. 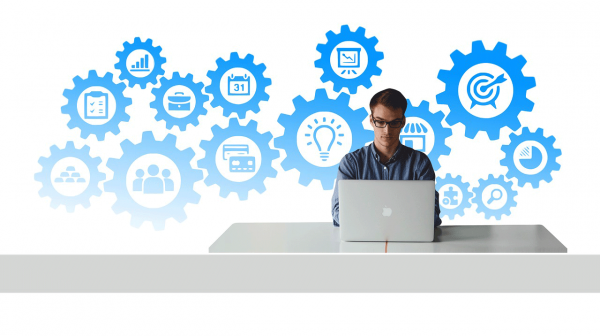 The technological asset of a company is the set of knowledge for product manufacturing (R&D included), the production processes, and the service performance. The main tool to protect and increase the value of the technological assets of a company is the patent. The commercial asset of a company includes, among the others, the “company name” and the relevant “product or service names” or “logos”, which are used every day to promote the company in the market. The main tool to enhance such a commercial asset is the trademark. The portfolio of patents, trademarks and other assets, if any, constitute the Intellectual Property asset of a company. Especially in the technological advanced fields, such a portfolio may constitute one of the most important and economic “intangible assets” of a company. Consequently, it is essential to take care of it more and more. He graduated in experimental physics (M.Sc.) from Adam Mickiewicz University in Poznań, Poland, then he received his PhD degree in Physics at this same University, specializing in optical spectroscopy. From 1993 to 1997 he worked as postdoctoral fellow in CEA Saclay (France) and University of Lille (France), working on ultrafast laser spectroscopy. After come back to Adam Mickiewicz University he obtained DSc. degree (Ph.D. with habilitation) in Physics (speciality: Photophysics, Molecular Physics). Then he became at Adam Mickiewicz University Associate Dean of Education in the Faculty of Physics, and from 2005 to 2012 he became the Dean of this Faculty. 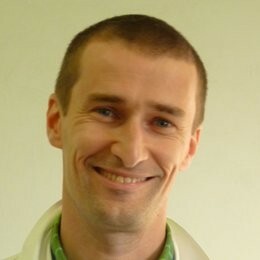 Ryszard Naskręcki is currently working at Adam Mickiewicz University as a full professor in Vision Science and Optometry Lab. and in Quantum Electronics Lab. He manages a diverse research, didactics (director of degree programme) and enterprise portfolio and conducts programs of research in optical spectroscopy and vision science (research and professional education). Presently he is also a president of Acreditation Commission for Optics and Optometry in Poland. R. Naskręcki is also an expert in Intellectual Property matters. The course aims at the improvement of your self-knowledge, of your strategy to learn more about the international job market and finally find the right approach to optimize your professional project. It is based on group work. You will improve your skills in analyzing and presenting in short time knowledge, skills, know-how of yourself and/or the others. Who am I? What do I search? Do I have the qualifications or experience ad hoc? 3. Report of the PPP through poster or powerpoint presentation. 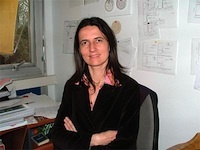 Prof. Sandrine Lacombe obtained a Phd in Sciences from Université Paris-Sud (France). She was a post-doctoral fellow of G. Ertl (Nobel Prize) at Fritz-Haber Institut der Max Planck Gesellschaft (Berlin, Germany). She is the head of a research team at Institute of Molecular Sciences Orsay (Univ. Paris-Sud / CNRS/France). She is the coordinator of two major European projects: the SERP+ Erasmus Mundus Joint Master Degree SERP+ and of the Marie Curie ITN programme ARGENT. She has a strong experience of training and recruiting students, PhDs, junior scientists and managers. Since 2016, she is Vice-President of International Affairs of Université Paris-Sud. The course aims at introducing elements of methodology in managing and planning complex applied research projects, in which many peoples are involved and several activities have to be identified, evaluated, planned and controlled for their effective execution. The course is organized in three distinct phases. In the first one elements on the theory of project management, in terms of planning, controlling and reporting, are given by a classical lecture. Then, in the second phase, an example of practical application is illustrated to the students by the teacher. In the last phase, students will be divided in groups and will apply themselves the methodology to case studies, suitable for a classroom coming out from different scientific backgrounds. Giorgio Musso received the doctorate in Physics at the Genoa University. He has been appointed for a long time as Research Director of Elsag-Bailey, one of the most advanced Hi Thech companies in Italy and USA. His experience spans many fields in the Advanced Industrial Automation and Artificial Intelligence and Parallel Processing, as well as the area of Research Management of very large innovative projects. 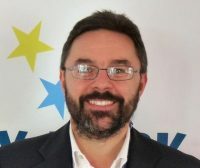 He has been the Director of the Institute for Scientific and Technological Research (IRST) in Trento, Italy, where he leaded several hundreds of researchers in Microelectronics and Artificial Intelligence areas. He has been professor in Cybernetics at the Physics Department of Genoa and Trento Universities, as well as in many Research Management courses in Europe, at Genoa University and at SISSA Institute in Trieste, Italy. He is author of more than 50 scientific papers and got four international industrial patents. A short survey concerning the different typologies of financial funds able to fit with the Innovation need will be given. Moving from seed capital up to venture and equity through crowdfunding, the lesson will be focused on the different capital need that a scientist has to face when moves from the lab toward a business application of his/her scientific knowledge. The talk will be also strictly connected to the awareness of the real or intangible assets that a “newco” may rely on as like to the basic features to introduce a proposal to the Financial Community. Genoa (UNIGE), Italy, where he teaches Material Science, Composite Materials for Bioapplications, Tissue Mechanics and Biomaterials Lab at the Biomedical Engineering School (former Engineering Faculty) and at the Science School (former Physics Faculty). His activity is mostly dedicated to Biomaterials for internal Prosthesis, composite materials and device testing with destructive and nondestructive technics. Genoa, and collaborates with financing platforms such as Equity, Venture Capital and Business Angels. He teaches in, and joins the Board of, several Master and Specialization Schools dedicated to connect Technology and Business. The course will address the issues of transferring scientific and technological results from lab-scale to the market. Starting from understanding the concepts of innovation, we will introduce the driving forces that enable a successful adoption of a technology into products and services delivered to final customers. Specifically, will describe the processes of understanding the gap between technology and customers’ needs and present some useful tools to support such processes. Fundamental concepts will be discussed, such as Porter’s Five Forces to understand the competitive environment, the Marketing Framework (3C-STP-4P) to map the target market, and the Business Model Canvass, to create a unitary vision. Finally we will briefly introduce the basic concepts of licensing and start-up creation. Examples will be given and an in class exercise will be proposed. 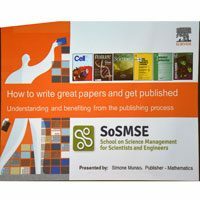 Getting to know scientific publishing and the important steps for authors to prepare a manuscript and be published. As opposed to Hard Skills, which are tangible and technical skills easily demonstrated by a candidate’s qualifications and specific professional experiences, soft skills is a term used by employers to refer to the more intangible and non-technical abilities that are sought from candidates. The format chosen by SoSMSE naturally fosters their development in the students, through team work, hard schedule and tight deadlines, all in an international enviroment. In SoSMSE 2019 team bonding is an essential part of the training, because any skill related to the capability of working in team and being able to forge bonds with the co-workers will be pivotal in all careers. So, apart from the very format of the school, the courses of which are organized around groups, one day will devoted to a special team bonding out door activity, combining work and …. FUN. Further details are omitted for the time being, not to spoil the surprise. SoSMSE is not only hard work: the social events calendar comprises a welcome dinner, a social dinner “MACπ5”, and the end of course celebration. Students are required to send their application by June, 2nd 2019 via our online form. A short CV and a presentation letter by a professor from the applicant’s home institution must be attached. The fee amounts to 1500,00 euro, and covers all the costs related to tuition, boarding and lodging, and social events. Bursaries are available for students enrolled at UniGe or other Italian universities, and for newly graduated students (both bachelor and master degree), provided that they have not turned 26 before the beginning of the school. The bursary application can be indicated in the school application form, and will be taken in consideration if all the required documents are provided (i.e. CV, presentation letter, and precompiled official transcript of records). Admission will be notified by June, 16th 2019 together with the coordinates for the payment. Twice per day (mornings, afternoons), students will be required to sign the attendance sheet. Students commit themselves to participating actively in every task given to the group they have been assigned to, the team building event included. Participation in the Social Program (city visit, social dinner, and video and photo-session) is mandatory, too. You are requested to arrive in Genoa on Sunday, July 8th, by 5:00 pm, in order to participate in the Welcome Dinner. Bring a laptop! It will be necessary during the school attendance and the group work. A wifi connection will be provided both at the University and the hotel. The team building event is an outdoor activity, for which light trekking shoes and clothing are needed. During SoSMSE all the non-local participants (lecturers included) will be lodged at the same hotel in foot distance from the Department of Physics. Sharing the same accomodation help establishing the right atmosphere of collaboration between teachers and students. Meals will be eaten in the University canteen in Corso Gastaldi. Lectures will be held in the Physics Department of the University of Genoa, DiFi, located in Via Dodecaneso 33. For further information and to communicate special needs, please get in touch with us .